Insurance gives you extra protection if things go wrong. However, if you need to make a claim, you may have a problem with making the insurance company pay you. For example, your insurer may refuse to pay you anything or may pay you less than you have claimed for. 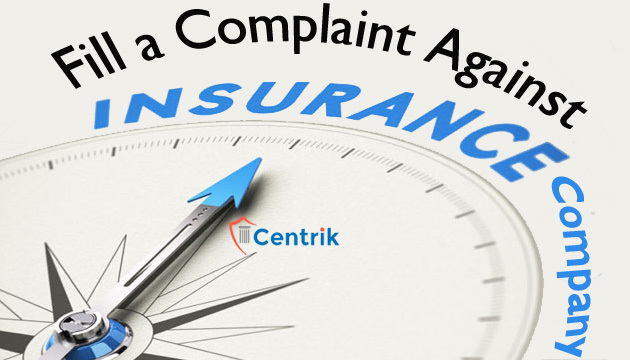 Issues with an insurance company with respect to the policy or service offered can be resolved by making a complaint to the Grievance Redressal Officer of the branch. The aggrieved policyholder can make a complaint to the Grievance Redressal Cell of the Consumer Affairs Department of IRDA. This can be done by calling a toll free number 155255 (or) 1800 4254 732. Alternatively an email can be sent to complaints@irda.gov.in. The complaint registration form has to be downloaded, filled and sent with necessary enclosures to: General Manager, Consumer Affairs Dept, Grievance Redressal Cell, Insurance Regulatory and Development Authority of India (IRDAI), 3-5-817/818, United India Towers, 9th Floor, Hyderguda, Basheerbagh, Hyderabad 500029. Once complaint is received, a token number is provided to the complainant and the complaint is forwarded to the insurance company to reexamine the case and respond within two weeks. If this response is not satisfactory, the complaint is forwarded to the insurance ombudsman or consumer forum or the civil court based on the nature of the complaint. The complainant also has the option to make a fresh complaint or escalate a complaint using IRDA’s online complaint redressal portal “Integrated Grievance Management System (IGMS) by visiting igms.irda.gov.in.